In South College’s Associate of Science in Paralegal Studies program, you will receive legal education designed to prepare you for a career as a professional paralegal. Paralegal work is challenging, interesting, and fulfilling, with a diverse range of career options available to dedicated students. With this American Bar Association (ABA) approved degree in paralegal studies, students can expect small class sizes, individual attention from faculty who are committed to student success, and academic support from tutors. This program includes specialized coursework, field trips, guest speakers, and 120 hours of hands-on training through supervised internships in public or private legal settings like real estate and title companies, bank and trust agencies, law firms, and judicial offices. What can I do with an Associate of Science in Paralegal Studies? In order to be successful in the Associate of Science in Paralegal Studies degree program, students should be detail-oriented, organized, efficient, and ready to adapt to the changing daily requirements of their jobs. Working as part of a team and being able to adapt between varying project demands will also be useful over the course of the program. Because South College maintains small class sizes, you’ll receive more individualized attention and professional guidance to help you get the most from your education. We also facilitate student involvement in service learning, to provide enriching and competitive professional experiences.  South College also offers a Certificate in Paralegal Studies for students who have already completed a degree, and a Bachelor of Science in Legal Studies for students with a range of career goals. After completing the Associate of Science in Paralegal Studies degree, many students choose to pursue certification. Although this is voluntary, certification through organizations like The National Association of Legal Assistants (NALA) improves employment opportunities for paralegals and legal assistants. In order to maintain certification, 50 hours of continuing education are required during the 5-year certification period. Successful completion of 8 hours in the major curriculum at South College, earning the minimum grades required by the program.